New fabric harvests energy from its wearer. You’ll get a charge out of the clothes of the future. Scientists in South Korea have developed a flexible, foldable and wearable fabric that generates electricity as it bends and flexes. A person wearing a shirt tailored from the material only has to move around to power a small screen or other electronic devices. Sang-Woo Kim led the development of this new material. He works at Sungkyunkwan University in Suwon, South Korea. A shirt made from the new fabric can be worn — even patched — like any other item of clothing. “It feels like an ordinary jacket,” he told Science News for Students. Fully equipped, it's just a tad on the heavy side, he acknowledges. That added weight comes from the electronic gizmos the researchers wired into the shirt. For tests, these included small screens, lights and even a keyless remote. Press the shirt’s cuff, for instance, and the remote unlocks a car's doors. The power-generating material is known as a wearable triboelectric (TRI-bo-ee-LEK-trik) nanogenerator, or WTNG. Here’s what that means: Triboelectricity refers to electricity generated by friction. Friction is the resistance encountered when one material moves over or through another material. People feel friction (in the form of heat) when they rub their hands together. In fact, the prefix tribo comes from the Greek word for rubbing. Meanwhile, nano is a prefix meaning a billionth. The material includes tiny zinc-oxide rods only billionths of a meter long. Those spiky nanoparticles help convert motion into electricity. Some kinds of triboelectricity are familiar. When a person rubs her head with a balloon, her hair stands on end. That's because the balloon “steals” negatively charged particles called electrons from her hair. The balloon ends up with a negative charge. The hair with a positive charge. Opposite charges attract. So the positive hair stands up to reach the negative balloon. This is static electricity, and it is triboelectric. When the fabric bends or moves, the coated rods move back and forth against the silver. The movement produces a reaction similar to that in the hair-and-balloon example. Here, it’s the polymer layer that picks up electrons from the silver layer. The researchers connected the two outer silver layers with a wire. The wire lets a small electric current run through it. As they compressed and released the fabric, the scientists measured that current. Multiple layers of WTNG produced more electricity than single layers, they showed. The smart shirt generated enough electricity to power a small screen. It glowed. The shirt also lighted up an array of small light-emitting diodes. And it powered the keyless remote. 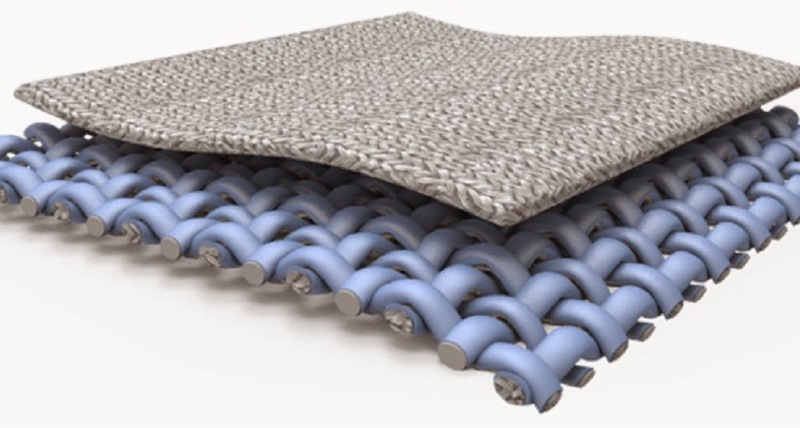 In the near future, Kim's team wants to develop textile-based batteries. These should be able to store energy. For now, the shirt only works when someone is moving. The researchers also are working on a washable version. The first flexible electronics appeared only a few years ago, and only in the lab. Researchers hope to use the technology to build wearable electronics, including medical sensors that stick to the skin. These currently require an external power source. By taking mechanical energy that would go to waste and converting it to electricity, WTNGs might one day give people the power to recharge our own electronic devices as we move throughout the day. triboelectric A term for an electric charge that develops when two things rub against each other, causing friction. zinc oxide A chemical — with the formula ZnO — made when one atom of zinc bonds to an atom of oxygen. Its reflective properties make zinc oxide useful in a range of products, from paints to sunscreens. Its germ-killing properties make it useful in some medicines or cosmetics. In foods, it can even be used as a source of the mineral zinc.